The Indian government announced Demonetization of High Denomination Notes of Rs. 500 and Rs. 1000 on November 8th. This announcement made the usage of Rs. 500 and Rs. 1000 notes illegal after November 9. Wiping out 86% of the total cash in the country has led to some hardships, but the government and RBI have continuously come out with notifications and incentives to help the citizens make the switch to digital payments instead of cash. Not only did the government and RBI announce new schemes, banks and companies like Paytm, Freecharge, Mobikwik etc have played their part too. These service providers have launched attractive offers and cashback programs to help their existing users switch to digital payments. While it is still not really easy to reduce cash usage, going digital has its benefits. At the moment, there are several offers and schemes that you can make use of to save money on your payments and bills. Consumers who pay for Petrol or Diesel using a debit or credit card will be given a discount of 0.75% on the total sales value of the fuel purchased. If you buy monthly or seasonal tickets from January 1, you can get a discount of up to 0.5% on the value of the ticket. According to the government, nearly 80 lakh passengers buy monthly or seasonal tickets every year in cash. If you buy railways tickets online, you will now be given a free accidental insurance worth Rs. 10 lakhs along with your ticket. According to the government, out of the 14 lakh tickets purchased everyday, 58% are purchased online. Nearly 11 lakh passengers daily will stand to get this free accidental insurance benefit, with a 20% growth in online payments expected in the near future. Purchase of paid services from affiliates of railways via your debit or credit card can get you a discount of 5% on the total purchase amount. This covers services like catering, accommodation, retiring rooms etc. The government has directed public sector insurance companies like LIC, General Insurance Corporation of India etc to provide a discount of up to 10% of the policy premium amount. Under this incentive, consumers will get a discount of up to 10% for purchasing General Insurance via card or other digital payment methods on Insurance company’s portal. Consumers can also get a discount of up to 8% on new policies of Life Insurance from LIC etc. Any payments made to Central government departments and PSUs via debit or credit cards or digital payment methods will not attract any transaction fee or MDR charges. Additionally, the Central government has advised State governments and its organisations to extend zero transaction fee scheme to its customers as well. 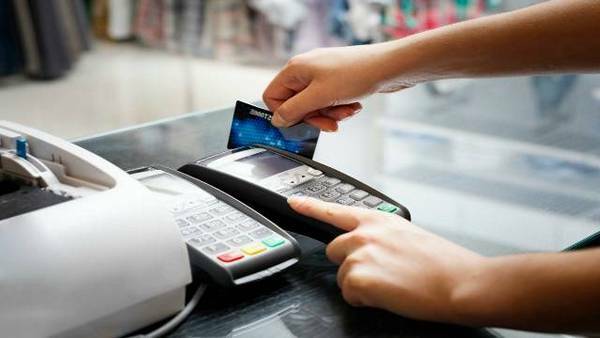 Service Tax has been waived off on payments made via debit or credit cards for services up to Rs. 2,000. You can get a 10% discount on purchase of RFID and Fast tags for highway toll payments. In order to encourage small merchants to adopt digital payments, the government has capped the PoS Machine (point of sale machine, i.e., the machine in which your cards are swiped) rental at Rs. 100 per month. In order to encourage farmers to go cashless, the government has directed regional rural banks and cooperative banks to issue RuPay Kisan Cards to farmers. Service providers like Paytm, Freecharge, Mobikwik etc have been running a slew of offers to capitalize on the push for digital payments. These service providers come up with new offers quite often, you can check them out on their respective websites.